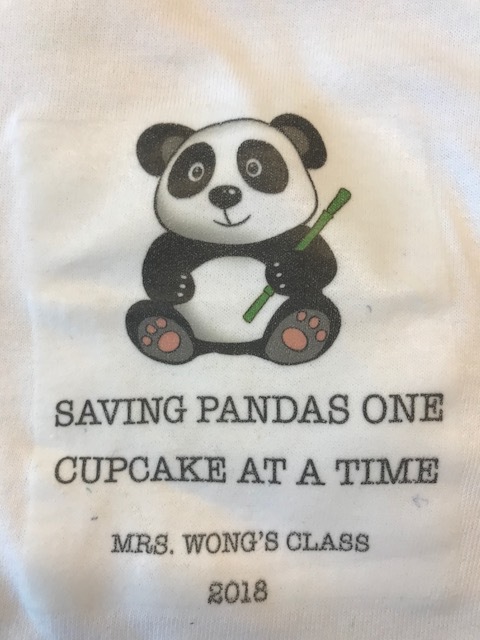 My 3rd Grade class participated in a panda fundraising project called “Saving Pandas One Cupcake at a Time”. We had families in our classroom donate 550 unfrosted cupcakes. We then transformed our classroom into a bakery. 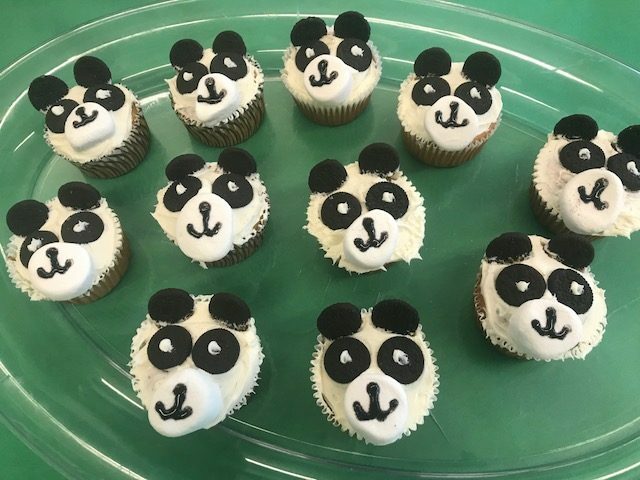 My students frosted and decorated the cupcakes to look like pandas and we sold them all during our lunchtime. 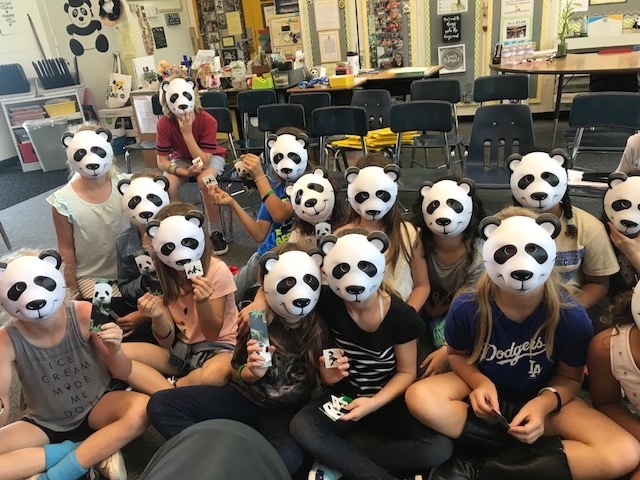 Each of my students was also given a panda shaped bank and they were encouraged to participate in giving their pennies to the pandas! 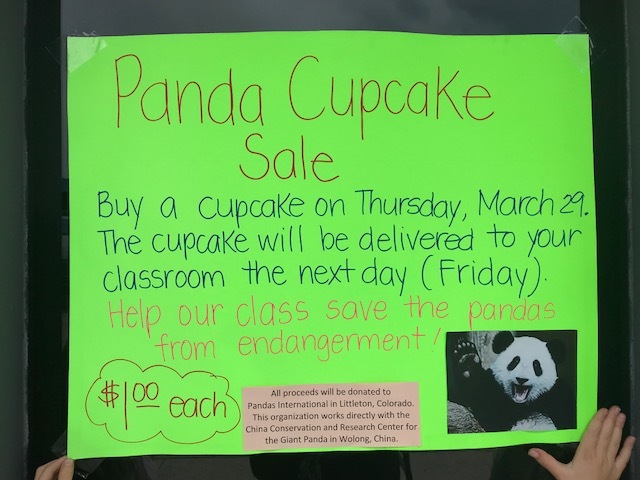 Between Pennies for Pandas and our panda cupcake sale , we generated $1,051.00! 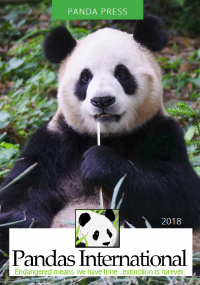 We were able to donate these funds to Pandas International and we happily adopted a panda cub. My students were so proud in their efforts and they were able to see what hard work and determination could accomplish. 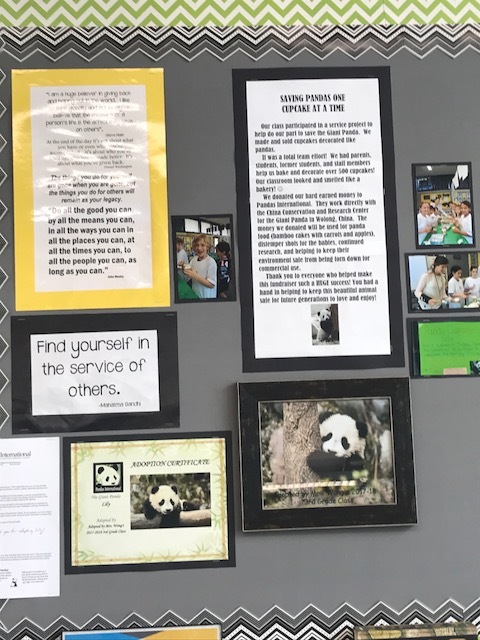 My students felt they were able to do their part in helping to preserve the pandas for future generations to enjoy. 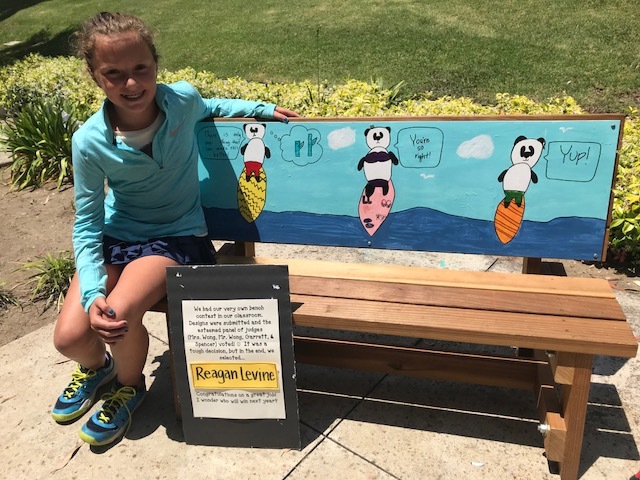 This is my fifth year in doing this project with my students and I am looking forward to doing this again next year!